In case you weren’t aware September 24 – 30 is banned books week. I was going to do a banned books reading challenge, but I don’t have the time now with packing a moving. So, I thought I’d share with you a few of my favorite banned/challenged books. Judy Blume was perhaps one of my favorite authors growing up. 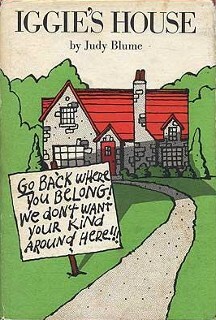 I remember the first book I read by her, Iggie’s House, which was challenged for racism and “white flight”. I remember reading it with my mom and it was a familiar story to me, an 8-year-old African-American girl whose family was 1 of 5 black families in an otherwise white neighborhood. My next door neighbor, Kelly, was the welcome committee; but other folks not so much. And her father, well her father wasn’t particularly nice to me. The story concerns Winnie, whose best friend Iggie has moved away. The new family moving into Iggie’s house are the first black people in the neighborhood. While Winnie is quick to make friends with the new kids, she realizes that some people, possibly including her own parents, have trouble seeing past a person’s color. A few years ago I read Sherman Alexie’s semi-autobiographical young adult novel, The Absolutely True Diary of a Part-Time Indian simply because there was so much hoopla surrounding it. The book was challenged/banned because parents claimed the language to be vulgar and racist and they objected to a teenage boy talking about masturbation. Um yeah. This is a teenage boy. Don’t know too many teenage boys or teenagers period that keeps their halo on when they’re out with their friends. This is the story of Junior, a budding cartoonist growing up on the Spokane Indian Reservation. Determined to take his future into his own hands, Junior leaves his troubled school on the rez to attend an all-white farm town high school where the only other Indian is the school mascot. The Absolutely True Diary of a Part-Time Indian chronicles the contemporary adolescence of one Native American boy a he attempts to break away from the life was destined to live. According to the American Library Association(ALA) Persepolis by Marjane Satrapi was the second most banned/challenged book in 2014. Despite the lack of graphic violence, offensive language and sexual content. So, how in the world did it become the ALA’s most challenged book of 2014? I read Persepolis for Bout of Books 20 and loved it. Satrapi is funny, sarcastic, witty and honest. 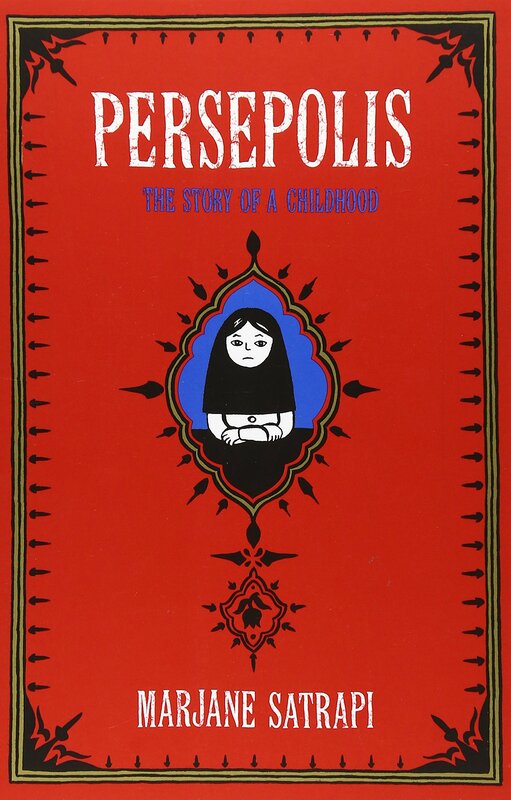 Persepolis is Marjane Satrapi’s memoir of her time growing up in Iran after the Islamic Revolution and her experiences leaving Iran to attend school in Europe. What are some of your favorite banned books? What do you think of book banning?